Julia produces a comprehensive range of TCT saw blades in Carbide and Cermet, suitable for every customer application. Hard Metal (HM) is obtained through the synthesizing of tungsten carbide dust, titanium and tantalum, mixed with cobalt dust as a binder. The finely mixed materials are heated to 1500°C and pressed, in order to obtain very thin molecules to form a single homogeneous solid. The main features of HM are to maintain hardness and wear resistance even at the highest operating temperatures developed in the most difficult applications. Cermet is a special product obtained through synthesizing ceramic dust, silicon carbides and metal oxides which are resistant to the highest temperatures, such as: chrome, cobalt, nickel, titanium, aluminium and tungsten. Cermet is a material with a hardness between silicon carbide and diamond. It is very resistant to high cutting temperatures and is able to withstand extremely high machining rates. Cermet generates an excellent surface finish on the cut material and an extra-long tool life. 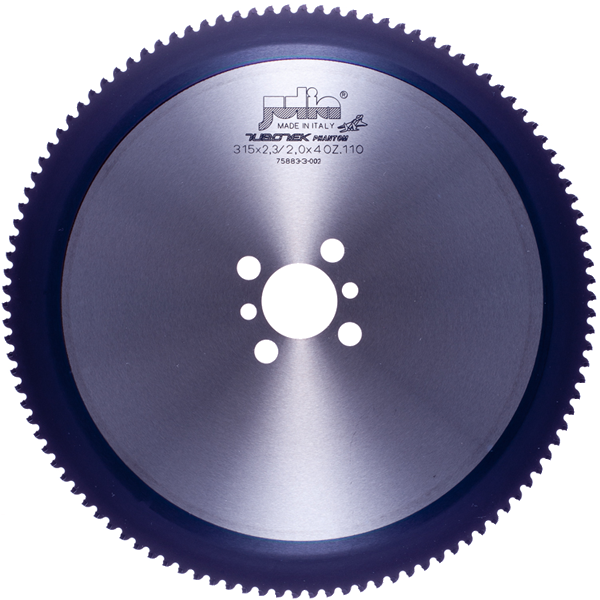 TCT CERMET circular saw blades, uncoated, used for cutting solid material, mild and low carbon steels with tensile strength up to 850 N/mm2 on stationary machines. Not to be used for cutting stainless steel. This is the right cutting tool for machines: Tsune, Amada, RSA, Rattunde, Everising, Kasto. TCT HM P.V.D. 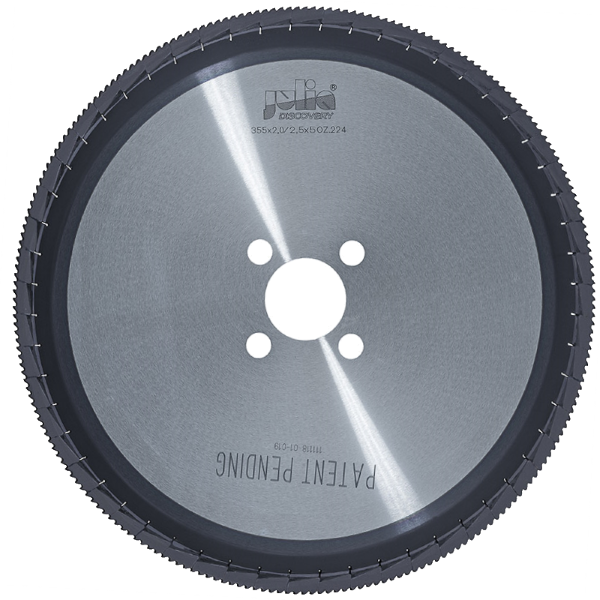 Coated circular saw blade, used for cutting solid steel, medium-high carbon with tensile strengths between 800 – 1600 N/mm2, and stainless steel, on stationary and automatic machines at very high production rates. Staltech Mirage blades always guarantee high performance. 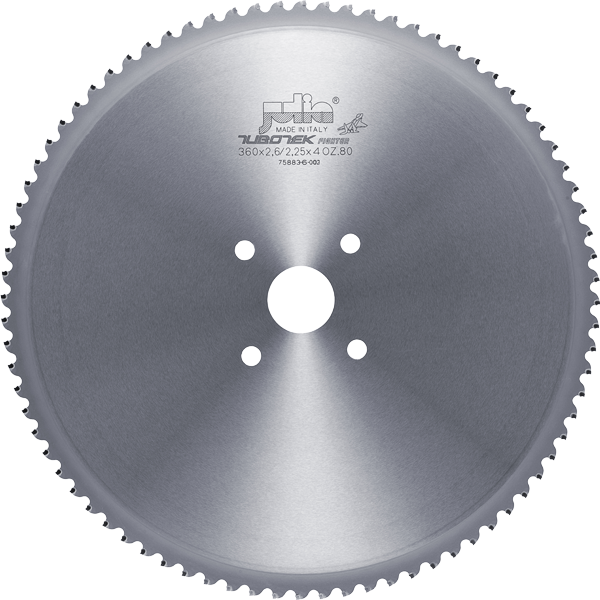 TCT CERMET circular saw blade, uncoated, used for cutting tubes with wall thickness greater than 5 mm, in medium and low carbon steels, on stationary machines. Not to be used for cutting stainless steel. This is the cheapest TCT saw blade solution for steel pipe cutting. TCT HM P.V.D. 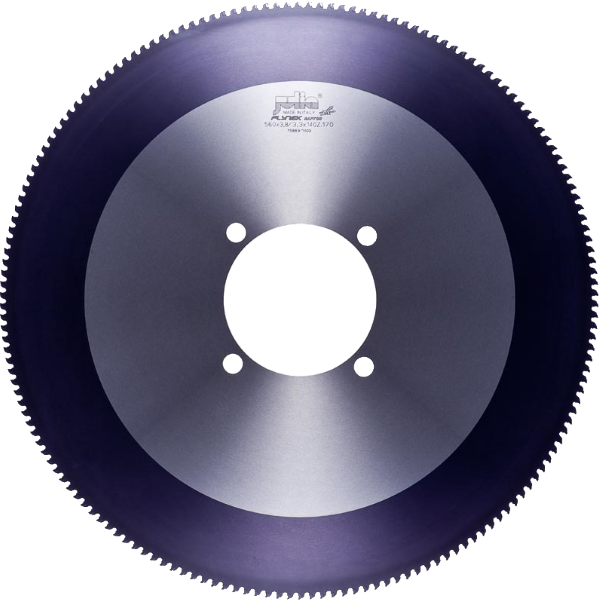 Coated circular saw blade, used for cutting tubes with wall thickness greater than 3 mm, in medium or high carbon steel, and stainless steel, on automatic sawing machines. 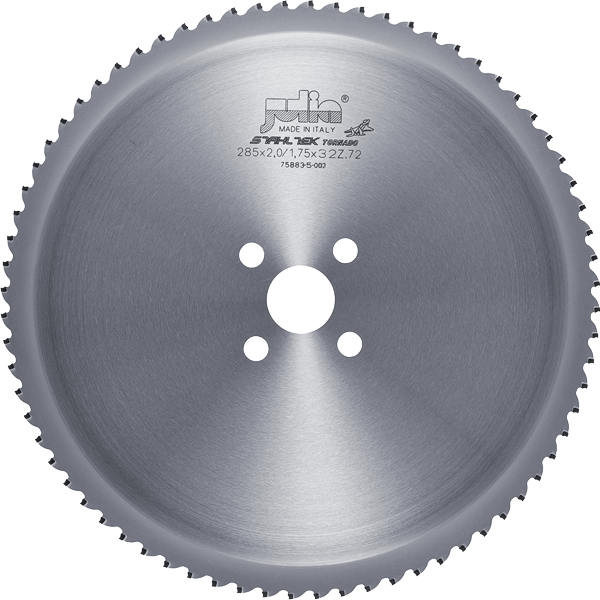 A higher cutting speed can be achieved than with HSS saw blades. Tubotek Phanton guarantees high performance cutting of thin walled tubes, obtaining perfect surface and burr free pipes. TCT HM P.V.D. Coated circular saw blade used for cutting steel tubes with wall thickness greater than 3 mm, on flying cutting machines (single or twin). The special geometry reduces vibration during the cutting process and helps the chip evacuation. TCT HM P.V.D. 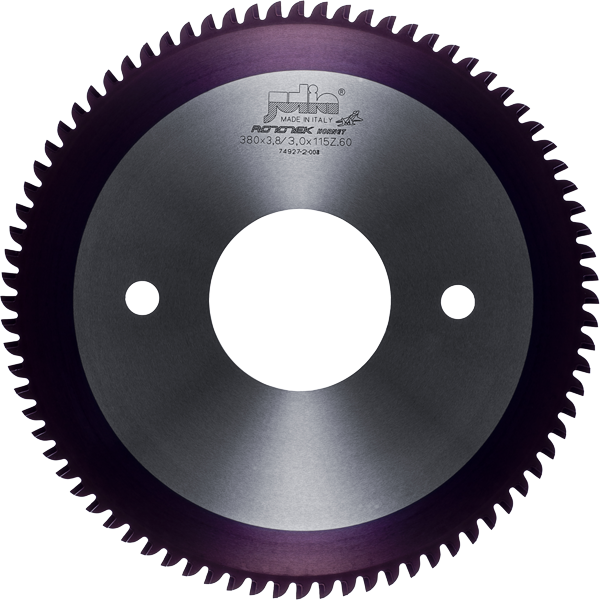 Coated Re-sharpenable circular saw blade used for cutting tubes with wall thickness greater than 3 mm. 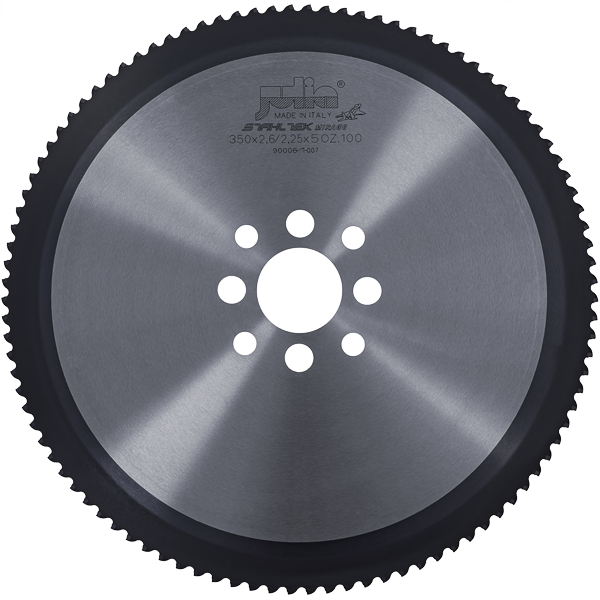 These saw blades have been designed for orbital flying cut-off applications on tube mills. Key features of these products are fracture resistant carbide tips and low vibration during the cutting process. The result is a very long blade life when used on machines such as: Kusakabe, Linsinger, Mair, Nakata, Oto Mills, Sms-Meer. TCT HM P.V.D. Coated circular saw blade. One of the industry challenges is to remove welding residue inside pipes, which drastically compromises the cutting, and thus the blade life. 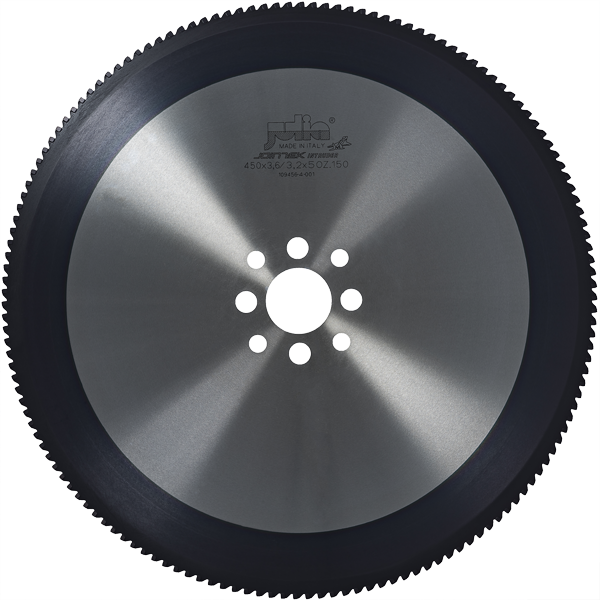 This problem decreases the life of the circular saw blade by damaging the carbide tip, especially on standard TCT saw blades. Due to its special design and reinforced tooth form, Jointek Intruder has a very specific tooth geometry in order for it to withstand heavy duty cutting cycles with violent bumps, on continuous welded pipes.